All buying decisions highly consider the price of the product and purchasing a new scope or upgrading your new one need that kind of consideration for the price tag. The best riflescope delivers not just quality but affordability to suit all budget ranges. Ultimate Slam Leupold Riflescope. The most expensive model of muzzleloader sight on our list is the Ultimate Slam from renowned weapons and gears manufacturer, Leupold. The unit is a high-end product with tons of remarkable features that make it worth every dollar you spent. FXII Ultralight Leupold Scope. At the middle of our price scale is another model from Leupold. Unlike the Ultimate Slam model, this product with a mid-range price is more affordable and easy in the pocket but with designs and features that could compete with its more expensive counterpart. Inline XR-BDC Nikon Riflescope. Nikon riflescopes are known for their quality and reasonable prices and this model is a clear proof of this legacy from the brand. The green muzzleloader sight received numerous commendations from users particularly its high performance while maintaining a more affordable price rate compared to the other two Leupold scope models. Inline XR-BDC Nikon Riflescope. The Nikon muzzleloader scope is one of the most durable and resilient models on the market today. The lens is multicoated with O-ring and nitrogen filled designs, making it confidently tough even in the harshest of conditions. The scope is waterproof, fog-proof, and shockproof. Based on warranty information from the manufacturer’s site, all riflescope products from Nikon come with a Lifetime Warranty. Ultimate Slam Leupold Riflescope. The high-end riflescope from the renowned brand is known for a combination of durability, flexibility, and accuracy for contemporary shotguns and muzzleloaders. A lot of actual users commend the multicoated lens for its proven resilience whether you are using it during cold or warm weather. It also doesn’t have any issues with fog, shock, or visibility and comes with a Lifetime Warranty, same as its Nikon counterpart. The scope, however, comes with a durable lens cover to keep the riflescope free from dirt and the elements while in storage, something that the Nikon riflescope doesn’t feature. FXII Ultralight Leupold Scope. This particular model from Leupold is highlighted for its rugged durability and the absolute fog proof, waterproof, and weatherproof integrity. Although the Ultimate Slam model is also featured with the tough designs and the same Lifetime Warranty, this model is highly recognized for its long-lasting multicoated lens that makes it the ideal scope for hunting and other activities that have surefire tough conditions. The top quality lens cover also comes with the package which makes it better than its Nikon counterpart. FXII Ultralight Leupold Scope. The actual magnification of the Ultralight scope is not applicable for low light conditions while on a higher scale, it can magnify for up to 2.30 x while the generous eye relief is 4.90 inches. The weapon sight also features the ¼ MOA finger click windage and elevation adjustments for dependability and repeatability for an impressive lifetime of extreme use. 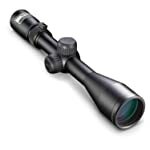 Inline XR-BDC Nikon Riflescope. Unlike its Leupold Ultralight scope counterpart, the Nikon muzzleloader riflescope features the consistent 5-inch eye relief with generous and consistent design to ensure brow safety even with constant and heavy recoiling charges or severe shooting angles. 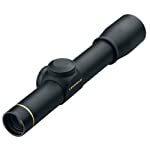 It also has ¼ MOA adjustability with the finger-click design but the 3-9×40 magnification is different from the Leupold model. Ultimate Slam Leupold Riflescope. The actual magnification of the Ultimate Slam scope is 3.20 x for low and 8.80 x for high light conditions unlike the other model from Leupold that has no applicable low magnification. It features 4.20-inch eye relief and the same ¼ MOA windage and elevation adjustments. What makes it stand out is the improved Ballistics Aiming Systems that fully equip the scope with 5 specialized reticles for accuracy even in critical surroundings. Finding the right scope with muzzleloader design or for your 17 hmr weapons must first start with a look at the scope’s ability to provide shooting precision. Inline XR-BDC Nikon Riflescope. There are various technologies in this scope that satisfy even the pickiest and most demanding muzzleloader users specifically the new optical system with Spring-Loaded turrets that offers Zero Reset functions. It provides a quick focus for target acquisition and the Spot On Ballistic Match Technology provides precision even in extremely low light conditions. Ultimate Slam Leupold Riflescope. Just like its Nikon scope counterpart, the Ultimate Slam riflescope also comes with its unique and patented Ballistics Aiming Systems. This technology uses the variables to influence shooting accuracy, especially in long-range shooting. It doesn’t have the spring-loaded technology from Nikon but it does teach users how to measure the target’s distance and where to position the reticle for a specific distance. FXII Ultralight Leupold Scope. 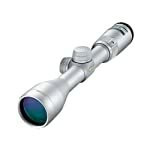 Compared to the Ultimate Slam scope from the same manufacturer or the Nikon Inline XR, the Ultralight riflescope is ideal for hunting in certain conditions such as in dense brushes or timbers. The large center gate of the Heavy or Wide Duplex reticle gives users fast target acquisition even with targets that are on the move. Buying the best muzzleloader scope is not a piece of cake especially if you have tons of options to choose from. Purchasing a new weapon sight or upgrading your old one is a lucrative and necessary investment especially if you are using the scope on a regular basis. The best and wisest choice depends on numerous factors such as the quality and affordability of the product. Based on our review and evaluation, we highly recommend the Ultimate Slam Leupold Riflescope. Although the product is more expensive than the other 2 models in our selection, it offers precision and top-notch adjustment and magnification to boost your shooting performance. Get upgrade tips for other must-have arsenal accessories including your shooting mat.